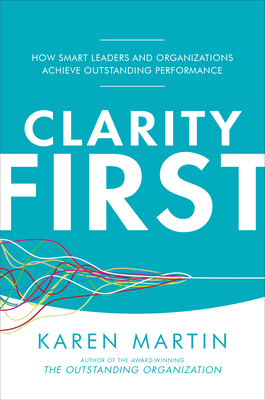 Award-winning business performance improvement and Lean management expert Karen Martin diagnoses a ubiquitous business management and leadership problem--the lack of clarity--and outlines specific actions to dramatically improve organizational performance. Through her global consulting projects, keynote speeches, and work with thousands of leaders, Karen has seen first-hand how a pervasive lack of clarity strangles business performance and erodes employee engagement. Ambiguity is the corporate default state, a condition so prevalent that "tolerance for ambiguity" has become a clich d job requirement. Eliminating ambiguity is the first step for leaders and organizations to achieve strategic goals. Learn how to gain the clarity needed to make better decisions, lead more effectively, and boost organizational performance. When it comes to leading an outstanding organization, every great leader needs Clarity First. Karen Martin, president of global consulting firm The Karen Martin Group, Inc., is a leading authority on Lean management and business performance improvement. A skilled change agent, she teaches effective ways to design work systems, grow market share, build organizational capabilities, and accelerate improvement. A popular keynote speaker, she is the author of The Outstanding Organization and coauthor of Value Stream Mapping, both Shingo Research Award winners, as well as coauthor of two other titles on business performance improvement.